1. How can I move and travel across the country? It is very convenient to travel by train In Israel: they arrive by the schedule, rigorously, and you can get the destination in a short period of time. There is an only one disadvantages that there is just one main train line with several branches. Also, Haifa has a one subway line. In addition, you can travel across the country by buses. They run regularly in all directions, but during the religious holidays, and from Friday evening to Saturday evening they do not go. In the same time, buses are the main public transport in Israel. The trip costs a little more than a dollar (about 6 ILS), you can get it from a bus driver. City buses in Jerusalem go from 6:00 till midnight. But most of the bus lines do not work on the Sabbath (from sundown Friday to sundown Saturday) and on Jewish holidays. Taxi (the only type of transport that runs on Saturdays and public holidays) costs about 5 ILS per km, plus 12 ILS just for landing. 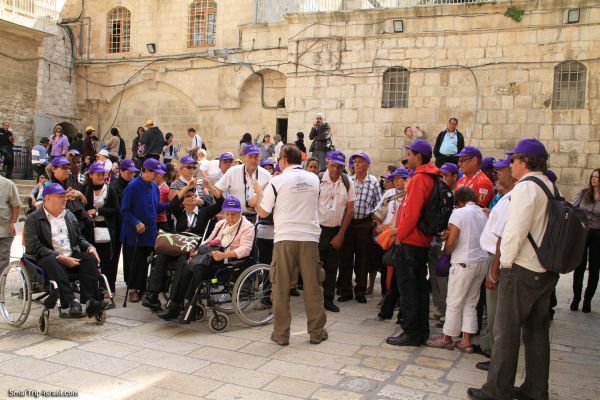 Israel has a special tourist taxis which work with a guides that are registered with the Israeli Ministry of tourism. You can find it with a special mark on the doors of such vehicles – the emblem of the Ministry of Tourism (two men who dragged somewhere huge bunch of grapes). The minibus called “Sherut” is also very popular in Israel (fare ~ 6 ILS). 2. We want to rent a car. What we need to know about renting a car in Israel? Rent a car in the country is relatively inexpensive (compared to Europe), and you can also find a car with a manual transmission. Any person over 21, who have a valid international driver’s license and a credit card can rent a car. In contrast of price per rent, the price per gasoline is quite expensive. Traffic rules are very strict; everybody need to wear seat belts, and children up to four years should be carrying on only in special seats. The border between Israel and the Palestinian territories is better not to cross on a rented car. 3. 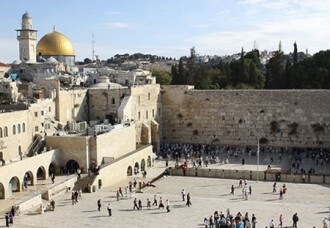 We want to choose a hotel in Israel. Do you have some clues how to make it better? The Israeli hotels have no “star” classification: instead of it there is a system of “classes”. Since there are many hotels of different world “chains”, their classification tour operators set themselves, based on their more or less objective evaluations. 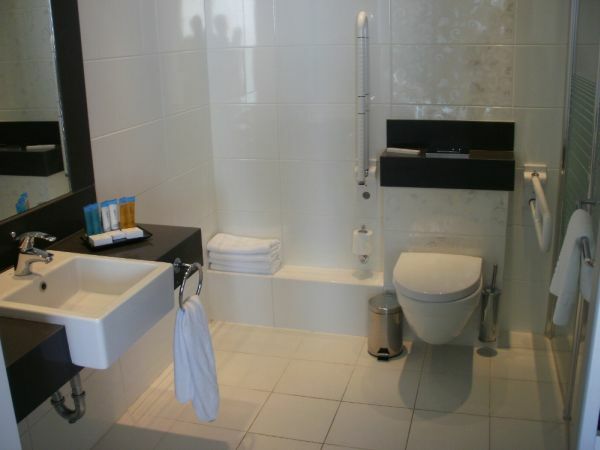 This means that when you are choosing a hotel in Israel, you should focus not on the number of “stars”, but on the specific list of services and descriptions of rooms. Those city hotels that operators define as 4*, as a rule, do not have a pool, and the hotel 5* are often have pools. Both 5* and 4* generally pleased with spacious rooms. The quality of food everywhere in Israel is good, but in the “five stars hotels”, of course, the menu is richer. Mains voltage in Israel is standard – 220 V. Most sockets three contact inputs, but they are also suitable for the European instruments. If you want to use a shavers, travel irons or other small appliances, you would better take an adapter with you. 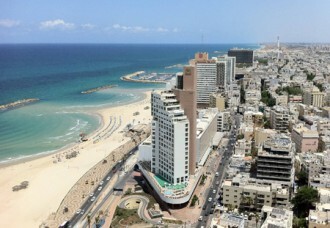 Tel Aviv hotels take a deposit from quests. 4. How do the banks and currency exchange? You can be exchanged money at any bank or at one of the many exchange offices. Most banks in the first half of the day is open from 8:30 am to 12:00 pm (Sunday to Thursday), and the second half of the day – from 16:00 to 18:00 (Sunday, Tuesday and Thursday). On the eve of major Jewish holidays, banks are open from 8:30 to 12:00. Almost everywhere accept credit cards, money can be taken in many ATMs. In hotels and large stores it is usually possible to pay with dollars, but the change may be given in the local currency. 5. What about shopping in Israel and how the stores work? Shopping hours and institutions: Sunday-Thursday 8:30-13:00 and 16:00-19:00, Friday and eve of holidays 9:00-13:00. Markets are closed at night. Retail, Muslim-owned, closed on Fridays, and Christian – on Sundays. 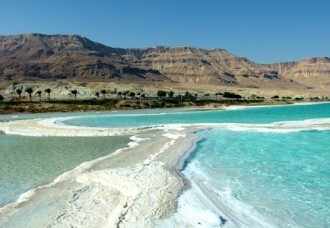 Israel is known for its jewelry, particularly diamonds and gold. You can also buy here a very high quality wines, oriental spices, as well as cosmetic products based on Dead Sea minerals. The most well-known brands – Ahava, Sea of Spa, Hlavin, Dead Sea Premier. In addition, the local stores and drugstores sales less known but often highly effective cosmetics. 6. What to eat in Israel and where? There are great different restaurants in Israel: Chinese, Russian, French, Indian, Moroccan and the list goes on. The menu is usually printed in Hebrew and in English. Portions are generally large, and costs a lot. You should try the local beer “Maccabi” wich have a quite good taste, but not so cheap. You should also try “meat in Hebrew” and “meorav Yerushalmi” – a dish of four kinds of chicken. Of vegetable dishes it is better to try a variety of salads, hummus, “falafel” (fried in butter pea and bean balls), cold beet soup, potato pancakes and fried zucchini. Most kosher desserts are “eggnog”, baked apples, pancakes, gingerbread with almonds. Tipping in cafes and restaurants is standard 10% (sometimes they are already included in the bill). It is also good to leave the tips in the taxi, bus driver and guide. 7. What is different from the traditional kosher cuisine from European? The main limitations of kosher cuisine: there is no pork and seafood and dairy and meat products are served separately from each other. But that doesn’t mean that the kosher cuisine is not variety and delicious. 8. 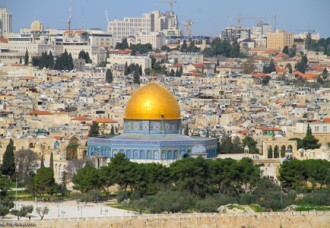 What sights of Israel is better to visit? Nazareth – the holy city of the Christian world, the place where Jesus spent his childhood. It contains the Franciscan Church of the Annunciation, beautiful Orthodox Church of the Archangel Gabriel to the Virgin Mary fountain place, national park Sepphoris (parental house of the Virgin Mary), the remains of Roman water tanks, which according to the Bible, Jesus turned water into wine, and the ancient Jewish Zippori town with a fortress of the Crusaders and numerous archaeological sites. 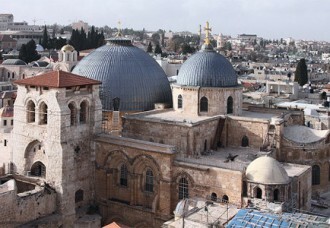 No less famous Bethlehem, the city where Jesus was born, lies to the south of Jerusalem. Its main attraction – like a fortress Church of the Nativity in the nursery area of the grotto (creche) Christ keley and tomb of St. Jerome. 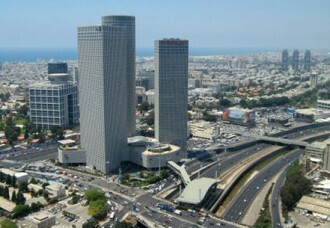 Haifa, the third largest city and the largest seaport in Israel, lies on the slopes of Mount Carmel. There are Catholic monastery of the Order of Carmelites, the Great Synagogue of Haifa, Cave Elijah and Bahai Temple with its famous Persian gardens and the tomb of El-Baha. 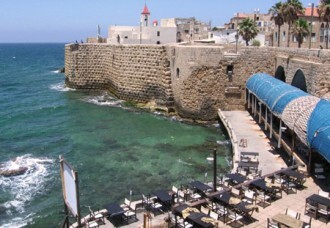 The main attractions of Acre “collected” in the old city. This citadel, old walls, a huge medieval city gates, a guard tower Burj el-Sultan, the Al-Jazari, the monastery of St. Francis, the “City of the Crusaders” (the citadel of the Order of St. John), the building of a Turkish bath with the exposition of the city museum, the caravan Saray Khan el Umda, and clock tower. 9. What is the Sabbath, and what we need to know about holidays in Israel? Shabbat. 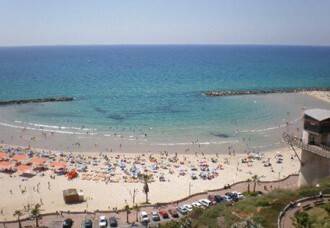 Holiday in Israel is officially a time from Friday evening to evening (outcome) Saturday. The time when Shabbat starts and its outcome are not fixed. On this day, the main government offices, shops, etc do not work. Most restaurants and cafes are open for the visitors on weekends and holidays (except on Yom Kippur, the Day of Judgment). Public transport is also does not work on Sabbath, so if you want to go somewhere at this time you would better take a taxi. It is recommended to respect the religious traditions of this day, and not visit religious areas of Jerusalem and other cities during the Sabbath. It is also better to refrain from smoking in public places – it can be perceived as an insult. 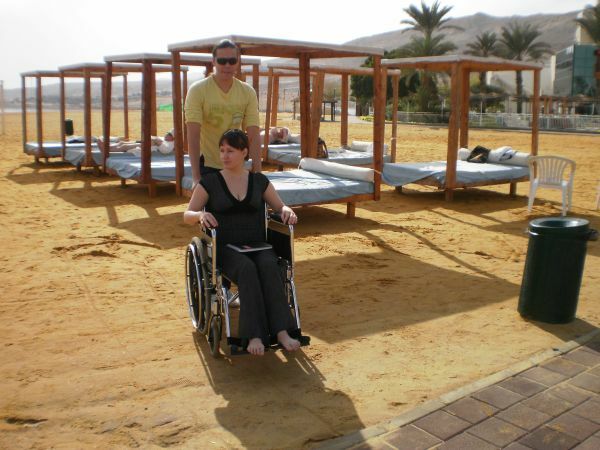 Holidays in Israel, as a rule, are not working days which are not fixed, varying each year. Celebration usually starts in the second half of the day. Please note that the prices during the holidays is much higher than in the normal period, the prices for tours, transfers, etc can also increase.